Are you looking to take your landscape to the next level? Decorative rocks are one of the easiest ways to enhance the appearance of your Cornelius landscape. Available in a wide range of colors, shapes, and sizes, decorative rocks can be used for something practical, like a pathway, or for aesthetics purposes, such as around a fire pit. 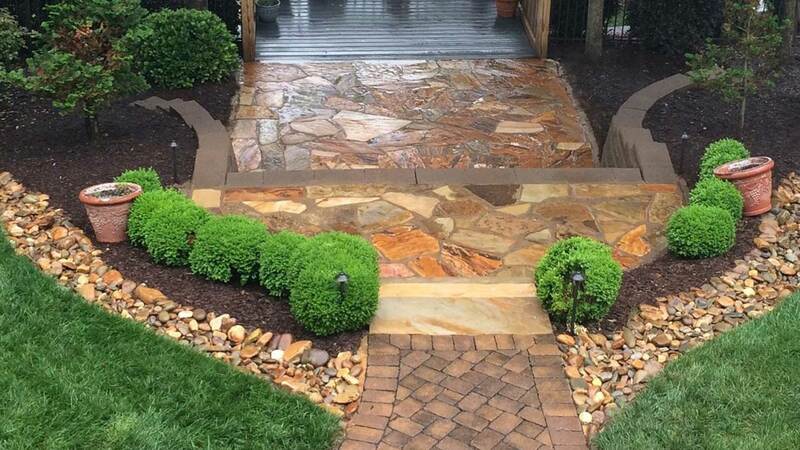 At Lake Norman LawnScapes Supply, we carry a wide variety of decorative rocks to suit your needs and tastes. We will be by your side to help you with all your decorative rock decisions. Our Tennessee and Alabama river rocks are a beautiful way to cover your landscape beds. Paths & Walkways– Backyard walkways and paths can improve the look of any landscape. Straight walkways can make a small lawn appear larger, while a meandering path can break up a larger property. Paths can also direct the flow and speed of foot traffic, leading guests to destinations areas, such as a gazebo, bench, or pool. Gardens & Rock Gardens– Small rocks can be placed around a garden to enhance the look of your plants and flowers. Larger boulders can be integrated with smaller pebbles to create Zen-like rock garden. 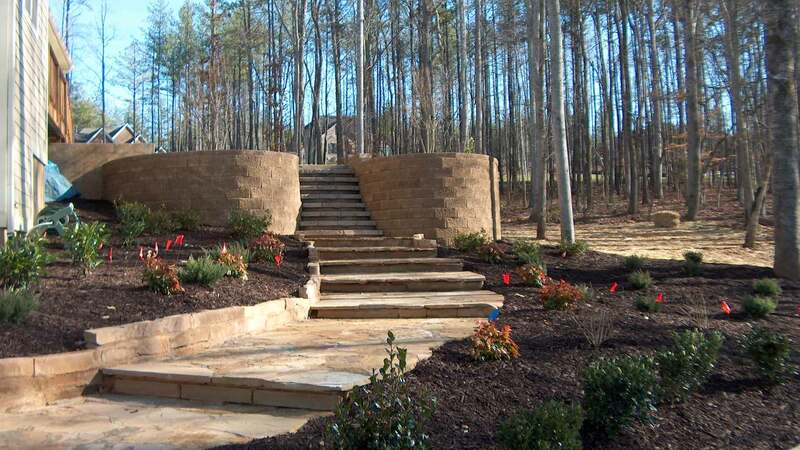 Staircases & Retaining Walls– Large slabs of rock can create a unique staircase and provide you with a safe passageway to an elevated section of your landscape. 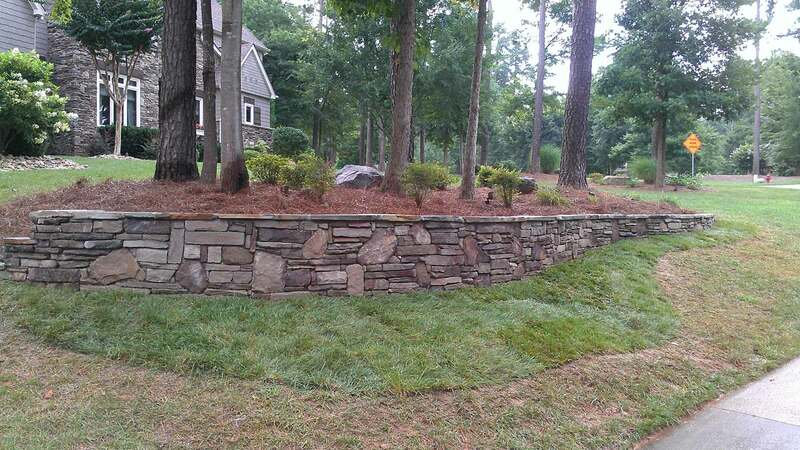 Rock retaining walls can help prevent erosion, while at the time add a touch of elegance and functionality to any property. 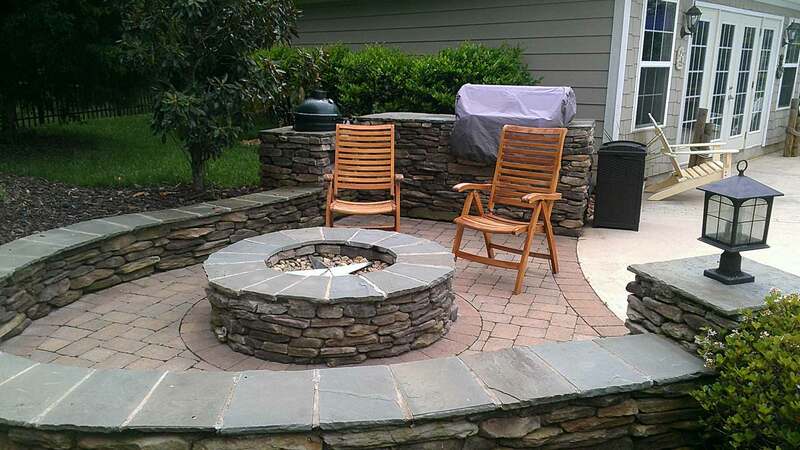 If you are in the Cornelius area, give us a call today to discuss your rocking ideas! From large boulders to small pebbles, you can count on us for all your decorative rock needs. We are more than happy to show you past projects and provide you with a quote. We are looking forward to hearing from you!